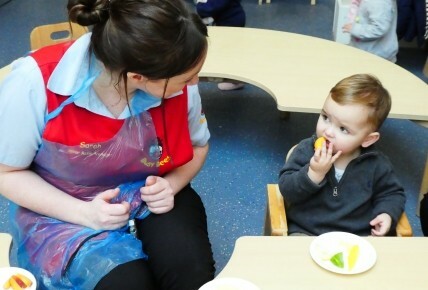 Today we have been learning about keeping healthy. 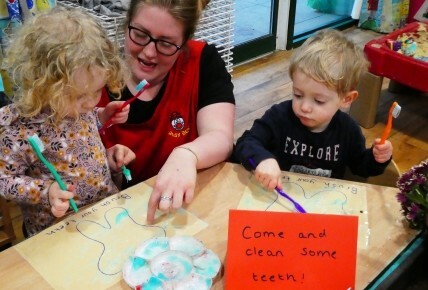 In our Roses Toddler Room the children have been learning about cleaning their teeth and how important it is to clean your teeth regularly. We gave them a toothbrush with toothpaste that they could use to clean the picture of the tooth. 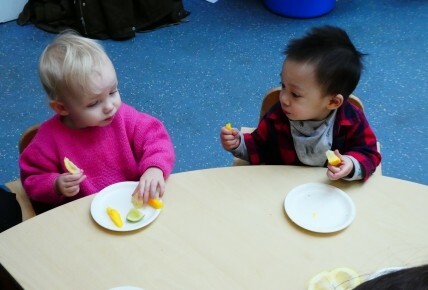 In Snowdrops the children have been fruit tasting trying a variety of different fruits such as lemons, limes, grapefruits, plums, peaches and avocado. 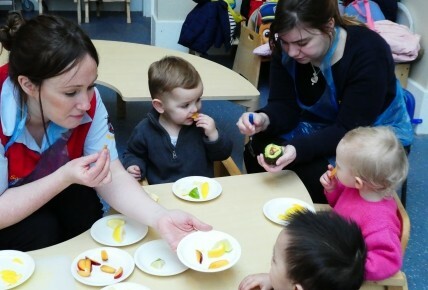 Some fruits were more popular than others! 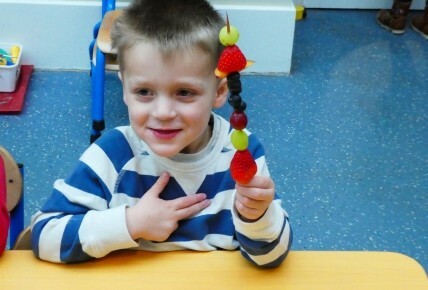 In Playschool the children have enjoyed making fruit kebabs to take home. 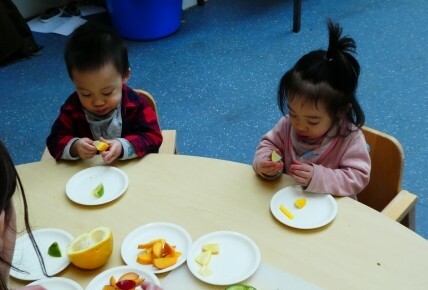 They have discussed which fruits are their favourites and how fruit is good for them.